Come November, things go a little haywire. Maybe it’s just me? 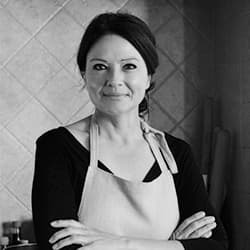 Working my way through hundreds of recipes for the cookbook along with my Christmas cooking classes, ‘what to make for supper’ plummets towards the bottom of my list. I’m tempted to do a Marie Antoinette and feed them cake from the day’s shoot, but I then remember, I’m the mother. Feed them food. It’s at times like this that I head to the nearest Woolies for back-up in the form of ready made pasta. 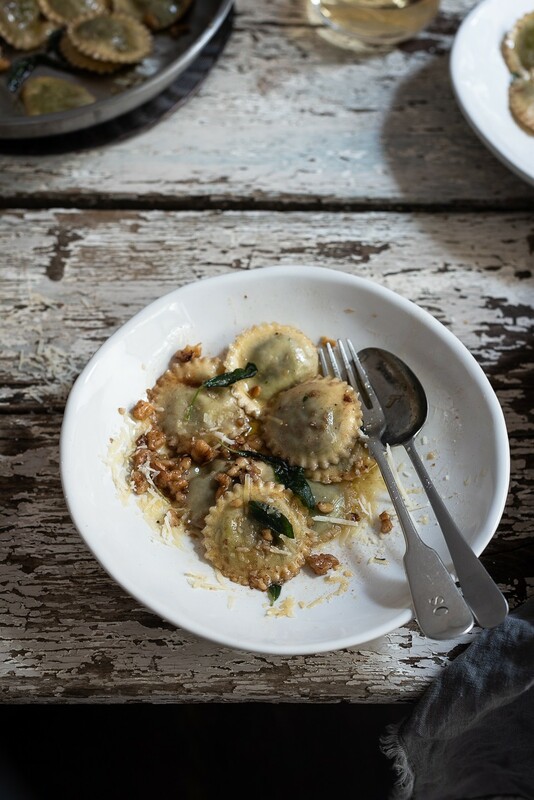 Pillowy soft ravioli, brown butter, sage and parmesan. 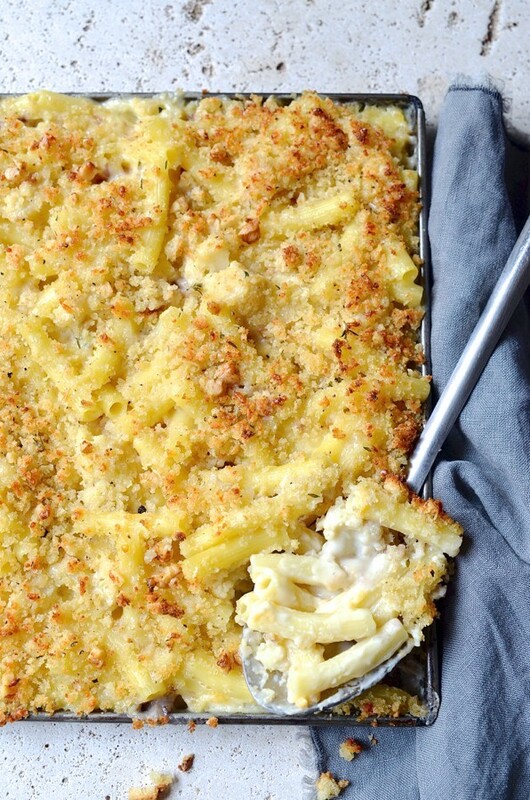 Easy comfort food. From start to finish, you’re in it for 10 minutes. Any recipe that has 6 ingredients or less, calls for the best quality. Don’t be cheap or stingy with the cheese, either. 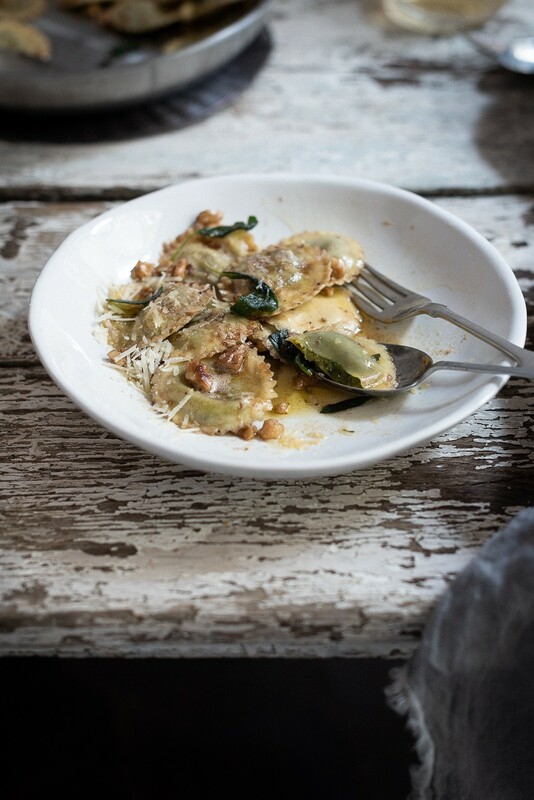 As for the pasta, fresh ravioli is best. We loved the new kale filling, though classic combinations like spinach and ricotta or pumpkin are also good, here. Pasta isn’t difficult. It’s the timing you need to watch. Fresh pasta takes minutes to cook. Here’s how I do it. As soon as the ravioli goes into the water, I start the sauce. When the butter is nutty and brown, add the sage and crisp up. All that’s left to do is toss the ravioli into the foaming butter, with a splash of cooking water and it’s done. Tip the ravioli into well-salted, boiling water. Make sure there’s enough room for the pasta to move around. At the same time, add the butter to hot pan, large enough to accommodate the pasta. Once the butter is melted and foaming, add the sage leaves and toss together. When the sage is crisp, add the nuts and a squeeze of lemon. As soon as the ravioli floats to the surface, remove with a slotted spoon and add to the hot butter. A splash of water might be necessary for unctuousness. 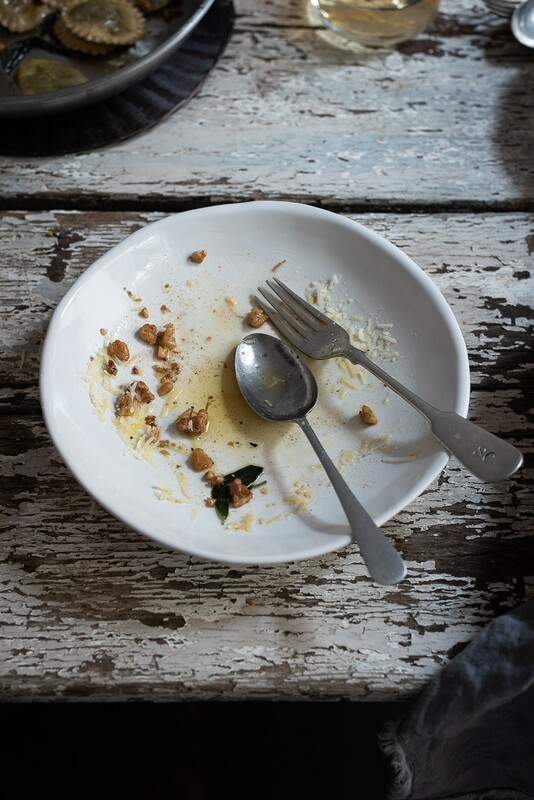 Give it a good toss together and serve straight away, with plenty of parmesan and a drizzle of walnut oil for a top end boost of flavour. 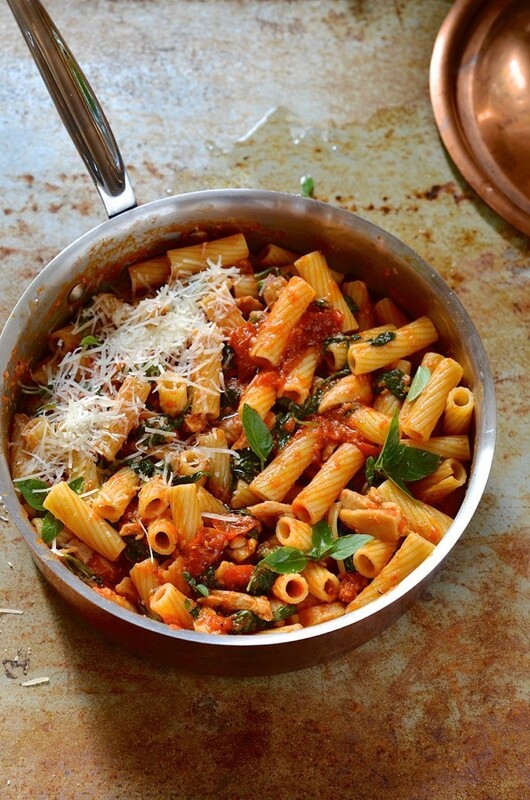 Here are two more easy pasta recipes that are big favourites on the blog.